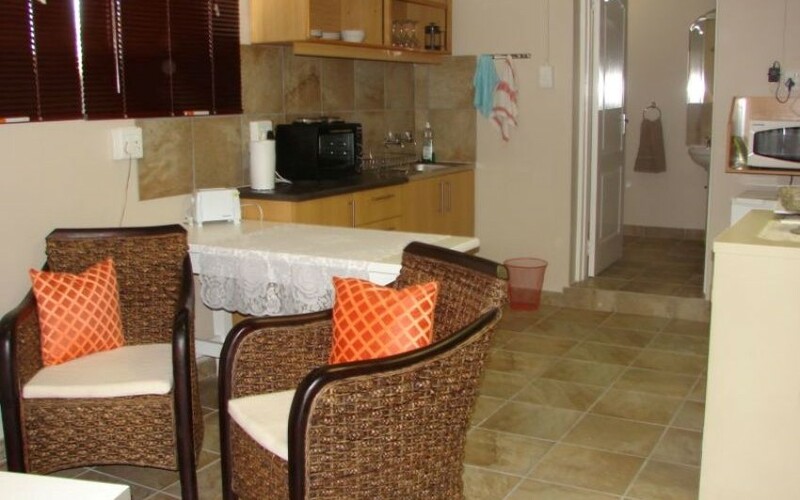 Self catering apartment which can accommodate 5 persons on single beds and a family room where 2 persons can sleep in Upington. From Olifantshoek side turn right on the first road. drove straight over 2 4way stops. The Kalahari Mall will be on the left side. After the 2nd 4way stop turn right at the 2nd road(Olienhout ave) The second house on the left is ours.